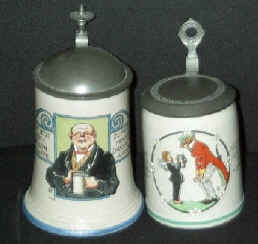 The pleasant scenes on these steins, each of which makes direct reference to drinking, are typical of Ringer's Biedermeier designs. Like many designers of this period, Ringer also designed the pewter fittings. The wreath thumblift is a Ringer "signature". 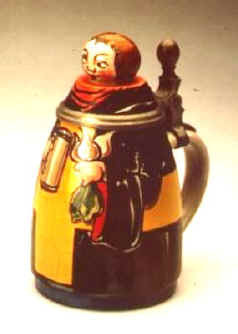 This 1-liter stein was the Offizieller Festkrug for the 15. Deutsches Bundesschiessen (15th German Shooting Festival) in Munich in 1906. 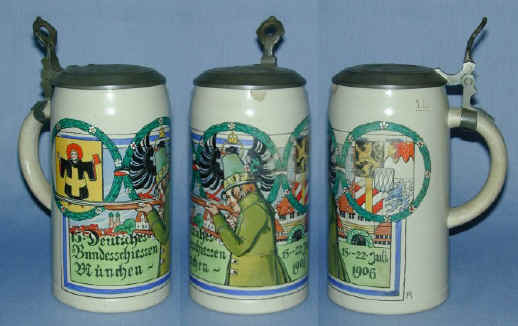 At left, another Festkrug, this time for the 1908 Turnfest in Frankfurt. 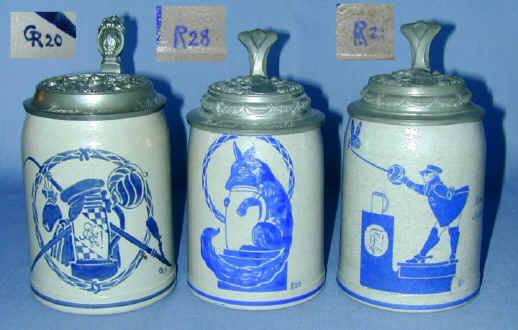 Second from left is a decorative stein with distinctive Ringer-designed pewter fittings. 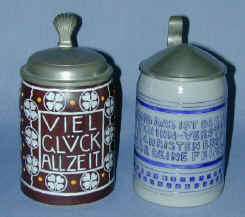 The two steins to the right reveal Ringer's interest in lettering in combination with traditional German verse. 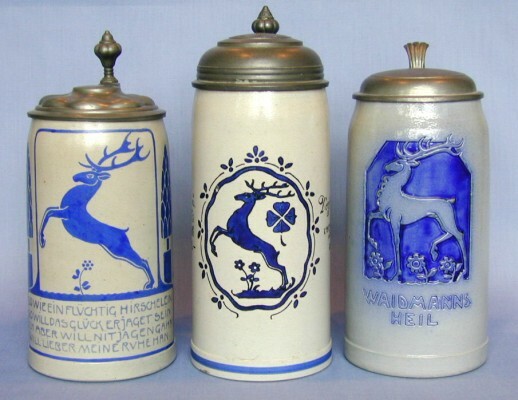 Three one-liter steins with stag designs. 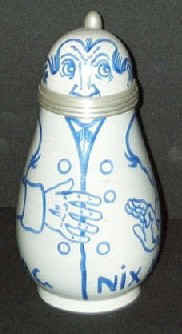 The first two are by Merkelbach & Wick, the third was produced by Reinhold Merkelbach. 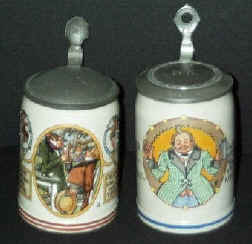 Two very interesting and unusual character steins by Franz Ringer. Three "student society" motifs by Ringer, all produced by Merkelbach & Wick. These designs are documented to Ringer, even though the signatures have been modified from Ringer's customary monogram (no explanation is known). 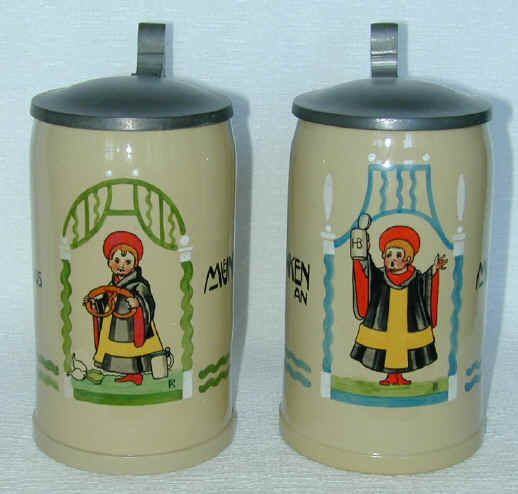 Two hand-painted Münchner Kindl scenes produced by Villeroy & Boch at Mettlach.